Muhammad-Tahir, the son of Khuchalav al-Tsulda al-Qarakhi, was born in the village of Tsulda of Qarakh society (now Charodinsky district) in 1809. Historians write that his real name was Mahamatilav, and Imam Shamil gave him the name of Muhammad-Tahir. Under this name, he became known not only in Russia but to the entire Muslim world. As other MusIim students he received brilliant Islamic education in the first half of the 19th century from Qurban-Muhammad of Qoroda, Mustafa from Anghida, Hajidibir from Gunukh, Muhammadamin from Hidatl and other theologians. He learned such sciences as Islamic law, tafsir, hadith, Arabic grammar, philosophy, logic and poetry. After graduation he worked as a Qadi in the village of Tlyarosh. Then from 1850 he worked as the personal secretary of Imam Shamil. At one time, the Imam even appointed him as Mufti of the Imamate. Judging by the written inheritance left by Muhammad-Tahir, we can say that he was one of the most prolific scholars of that time. His work "Bariqatu suyuf al jabaliyya fi ba`d al-ghazawat ash-Shamiliyya" (Radiance of mountain sabers in some of Shamil's ghazawats) is the most objective and complete information about the Caucasian war. This is a more complete sketch of the life and work of Imam Shamil from 1830 to the early 1870s. The book was completed in 1872, but was not published in the form in which it was written by the author. 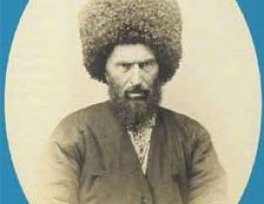 Muhammad-Tahir's son Habibullah, at the request of Muhammad-Mirza Mavraev, made some reductions in order to obtain permission from the tsarist censorship, but this alternative could not be published. And in terms of its content, it is a chronicle of Shamil's battles and the activities of Imamat. The book became widespread not only in Dagestan, but also in the Caucasus, Turkey, Egypt and other Arab countries. Later parts of the chronicle were translated into Russian by the researchers Barabanov and Krachkovsky and published after the 1990s under the title "Radiance of the Dagestani sabres". In addition, Muhammad-Tahir of Karakh left a rich legacy of Islamic law, grammar and theology. His personal library has also been preserved. Among the books compiled by the author, we find such titles as: "Commentary on the grammar composition of az-Zanjani "Tasrif al-`Izzy", "Sharhu tasrif `alal maqsud"; "Ahsan dalil fi ta'wili li ma waqa`a fi zaman Imam Shamil" ("A Treatise on the realities of Shamil's acts"), 1848; The composition of fines and punishment in the state of Shamil; "Sharhul Mafrud" - an essay on Islamic law; Wasilat al-ahkam; "Tarjamat al-Qarahiyyah" - translation of various texts; "Kitab as-sullam" - commentary on the textbook on logic. And also numerous books, copied by Muhammad-Tahir himself. 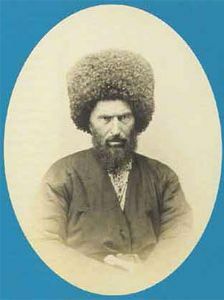 After the Caucasian War was over, Muhammad-Tahir moved to Temir Khan Shura and worked as a Qadi, then as the senior Qadi in the Dagestan People's Court. This will give us every reason to consider him as an expert on Islamic jurisprudence. Most of his writings were written by him in those years. According to sources, it is known that he spent some time in the village of `Urada with local scholar Muratazali. Perhaps he was invited as a Qadi, and, taking advantage of this, he decided to learn from Murtazali. Muhammad-Tahir had great popularity and authority among the masses. His talent and diplomatic skills in many situations prevented bloodshed among the Jama`ats. Thanks to his efforts, many questions were resolved peacefully, which otherwise required the custom of blood revenge. The impeccable reputation as a man of integrity and righteousness gave him the right to act as a peacemaker. He refused any help. It is said that he was so honest and God-fearing that he did not even take a fee from the general treasury (Bayt al-Mal) allocated to him by the Imam. In Avar spiritual poetry, Muhammad-Tahir occupies a special place. His works are permeated with a sense of ethics and respect for the imams. As we see, in his works he set the main goal - to give a legal assessment of the ghazawat, to expose the viciousness of that society and those adats against which the Imams rose. Muhammad-Tahir bravely refutes those scholars of his time who began to portray ghazawat in a negative way. In many respects he succeeds, apparently because he was with Imam Shamil for so many years, listened to his stories and saw with his own eyes how the law and order in Imamate was actually maintained. He was very upset that after the fall of the Imamate, people began to gravitate towards the Tsarist regime, and this was reflected in his poetry. Among its poems one can also find the elegy to the death of Imam Gazimuhammad, and the qasidah about the events in `Ashiltah, and other poems. Recently, access was given to the personal library of Muhammad-Tahir, and we think that researchers will find interesting and valuable material in it. Muhammad-Tahir of Karakhi left this world in 1882, and his ziyarat is in the village of Tsulda in the Charodinsky district.